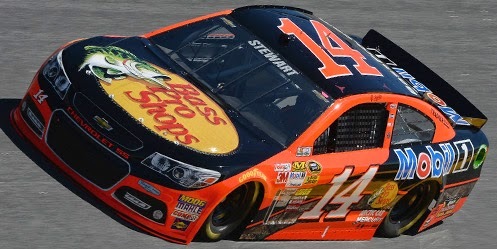 Tony Stewart picked up the 6th last-place finish of his NASCAR Sprint Cup Series career in Sunday’s Ford EcoBoost 400 at the Homestead-Miami Speedway when his #14 Bass Pro Shops / Mobil 1 Chevrolet fell out with crash damage after he completed 182 of the race’s 267 laps. The finish was Stewart’s second of 2014 and his first since the spring race at Talladega, 26 races ago. Stewart was one of 25 different last-place finishers in 2014, the most in a single Cup season since 2008, which had 27. The modern-era record remains 29, set in 2002. Stewart’s struggles worsened after the Talladega race. A 7th in the June race at Dover, scene of his most recent win the year before, was Stewart’s first top-ten finish in five races, and he would not snare another until Loudon, six races after that. 19th in points heading into August’s race at Watkins Glen, frustrations gave way to tragedy when Stewart was involved in a tragic on-track accident that claimed the life of dirt track racer Kevin Ward, Jr. Stewart sat out the next three races, and while he was given a chance to win his way into the Chase, he finished just 41st at Atlanta and 15th at Richmond. In The Chase itself, Stewart qualified inside the Top Ten four times, but with the exception of a 4th-place run at Martinsville after a late-race battle with eventual winner Dale Earnhardt, Jr., Stewart only gained back one of the points positions he lost in his three-race absence, moving to 25th that afternoon. After a 20th-place finish at Phoenix, where his driver Kevin Harvick dominated on his way to a championship-round-earning win, Stewart looked to Homestead, scene of his third career victory in 1999, to give him his first win of the season. When practice opened on Friday, Stewart timed in 32nd in the opening session and improved to only 28th in qualifying with an average speed of 178.024 mph. As his driver Harvick continued to fine-tune his championship machine, Stewart still struggled to find speed on Saturday, running 25th in Saturday’s morning practice and 26th in Happy Hour. Stewart was one of only 43 drivers to attempt to make the season finale, so every driver on the list secured a spot in Sunday’s field. Starting last Sunday was Brett Moffitt, making his seventh start of his abbreviated rookie season with new sponsorship from X8 Energy Gum on Identity Ventures Racing’s #66. However, just seconds before the green flag, Michael Annett made an unscheduled stop in his #7 Pilot / Flying J Chevrolet and had to hustle down the backstretch to catch the back of the field. Annett and Moffitt exchanged the 43rd spot in the early laps along with Blake Koch, the newly-crowned 2014 LASTCAR Nationwide Champion, making his first Cup start since Charlotte last month. Annett was the first driver to lose a lap around Lap 13, the same lap Koch stayed out under caution to lead a lap before falling back, and Koch re-took the 43rd spot o Lap 49. He didn’t hold it for long as Annett fell four laps off the pace, holding off Moffitt, who brought out two consecutive cautions for banging the wall on Laps 59 and 87. Homestead’s traditionally low attrition created a surprising Bottom Five. On Lap 119, with all 43 cars still running and much of the back half of the field only a few laps down to the leaders, 5th-place Kyle Busch broke an axle leaving pit road and took his #18 M&M’s Toyota behind the wall. Just five laps later, Busch had slipped to last, a spot he held by a large margin when he returned on Lap 143, 24 laps in arrears. Then on Lap 163, Greg Biffle lost the right-front tire on his #16 3M Ford, dropping him to 42nd by Lap 168 and to last on Lap 185. By that time, the damaged #99 Fastenal Ford of Carl Edwards dropped to 39th. But on Lap 189, Edwards was passed for the spot by Stewart, who apparently also tagged the wall and pulled his car to the garage. By 55 laps to go, Stewart was officially listed as the race’s first retiree, and when Biffle returned to the track, Stewart took the 43rd spot on Lap 230. He would not relinquish the spot. While the finish ended Stewart’s streak of 15 consecutive seasons with at least one win, Kevin Harvick went on to win the race - and the championship - and a plain-clothed Stewart greeted him on the stage. Finishing 42nd on Sunday was Trevor Bayne, whose final start for the Wood Brothers ended when a brake line ruptured with 60 laps to go. Biffle climbed to 41st while Busch made it to 39th, both of them still limping around the track when the checkered flag fell. Finishing between the two in 40th was A.J. Allmendinger, who recovered from a spin on Lap 156 to get the Lucky Dog on Lap 195. On Lap 237, Allmendinger was still on the lead lap and near the Top 20 when his #47 Hungry Jack / Martha White Chevrolet suddenly snapped loose and crashed in Turn 1. Finishing 32nd on Sunday was Josh Wise, who in his first full season driving for Phil Parsons Racing did not finish last a single time in 2014. It was a tremendous accomplishment for the entire PPR team, which had won four of the last five LASTCAR championships and finished last 38 times in the 180 races run in that stretch - more than 1 finish for every 5 races. 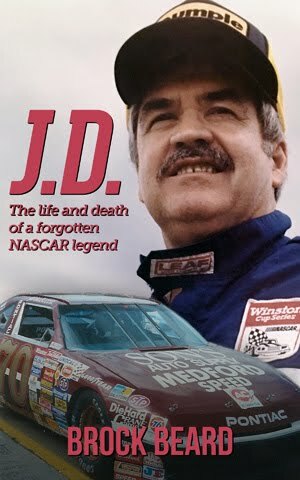 At season’s end, Wise had just eight bottom-five finishes - only three more than Jimmie Johnson. Michael McDowell, PPR’s driver for three of those titles, also showed improvement. He finished the year with just one last-place finish in his first full season driving for Leavine Family Racing (Las Vegas). Driving a #95 Ford carrying all the sponsors the team gathered in 2014, McDowell came home 21st at Homestead, his best finish since an 18th at Bristol in August. *This is the first last-place finish for both Stewart and the #14 in a Cup race at Homestead. It’s also the first for Chevrolet in this event since 2005, when Brian Vickers’ #25 GMAC / ditech.com Chevrolet crashed after 82 laps. 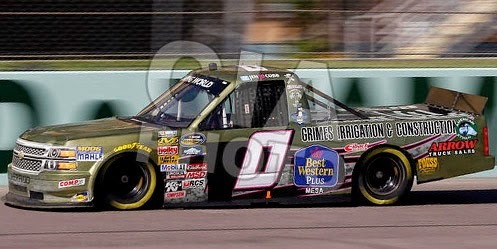 Jeff Green picked up the 60th last-place finish of his NASCAR Nationwide Series career in Saturday’s Ford EcoBoost 300 at the Homestead-Miami Speedway when his #91 Heroes Behind The Camo / SupportMilitary.org Toyota fell out with a vibration after he completed 3 of the race’s 206 laps. The finish was Green’s seventh of the 2014 season and his first since Kentucky, six races ago. He came just one finish short of tying teammate and 2014 LASTCAR Nationwide Champion Blake Koch, who ended Green’s three-year reign as champion two weeks ago at Texas. 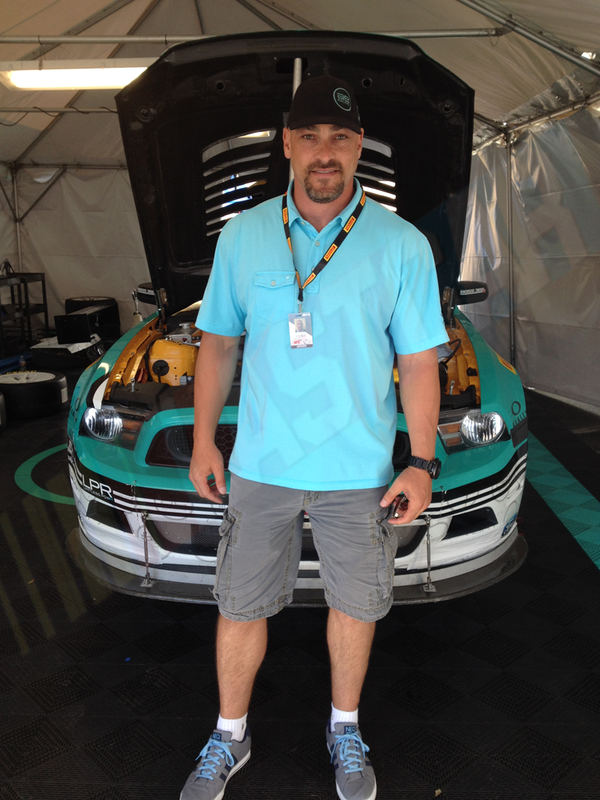 Koch finished 22nd on Saturday when he ran TriStar’s fully-funded #44 Celsius Flo Fusion Toyota. It is Green’s 65th last-place finish across all three of NASCAR’s top divisions, most of all drivers, and he now leads second-place driver Joe Nemechek by 16 finishes. The finish also came in Nationwide’s final race as title sponsor of the series, a relationship which began at Daytona on February 16, 2008 when the soon-to-be-dominant last-place team MSRP Motorsports trailed its first field with veteran driver Steve Grissom. Green was one of 45 cars on the entry list for Homestead. He was giving TriStar’s #91 its first start since Charlotte, three races ago, as the team shuffled its drivers to allow Ross Chastain to run a watermelon-colored #10 for a full-race effort. Blake Koch also was set to make his tenth start of the season in TriStar’s #44 Toyota, this time sponsored by Celsius Flo Fusion. With Eric McClure back in the #14 and Mike Bliss rounding out the season in the #19, this left Green in the “start-and-park” #91. Green did not participate in Friday’s opening practice session, then timed in 42nd-fastest of 45 in Happy Hour, beating fellow “go-or-go-homer” Ryan Ellis in The Motorsports Group’s persistent #46 Chevrolet. Green dispatched with Ellis four others in qualifying by snaring the 34th spot on the grid with an average speed of 160.123 mph. Sent home with Ellis were Kevin Lepage in Mike Harmon’s #74, past LASTCAR record holder Derrike Cope in the #70, John Jackson in the #72 James Carter entry, and Martin Roy’s #90 Gamache Truck Center / Cote Chevrolet fielded by Mario Gosselin. In the race itself, Tanner Berryhill started 40th in Vision Racing’s #17 Excel Therapy Toyota. Green pitted before the green flag, sending him to the rear of the field with Ty Dillon and Paul Menard, whose Richard Childress Racing Chevrolets were sent to the rear for unapproved adjustments and a driver change, respectively. However, after one lap, all of these drivers were passed by Milka Duno, who was running a #87 CanTV Toyota fielded by RAB Racing with the owner points of the three teams who shared the #87 in 2014. Two laps later, Green pulled off the track, securing the last-place finish. Finishing 39th on Saturday was Joey Gase, whose unsponsored #52 Jimmy Means Racing Chevrolet fell off the pace early before the engine let go after 54 laps. 38th went to Matt DiBenedetto, who faced a similar fate, losing seven laps early before a broken transmission stalled his car on the access road to bring out the second yellow of the evening. In 37th was Corey LaJoie, whose #98 Medallion Financial Ford was taken out in a hard crash in Turn 2 that brought out the fourth yellow. Rounding out the Bottom Five was Ryan Sieg, his #39 Huntinator / SmartCellFundraising.com Chevrolet spinning in Turn 1 on Lap 155 then breaking the suspension less than 30 laps later. *This was Green’s first last-place finish in a Nationwide Series race at Homestead since November 20, 2010, when Green’s #36 TriStar Motorsports Chevrolet had a vibration after 2 laps of the Ford 300. *This is the second-consecutive last-place finish for TriStar’s #91 at Homestead. 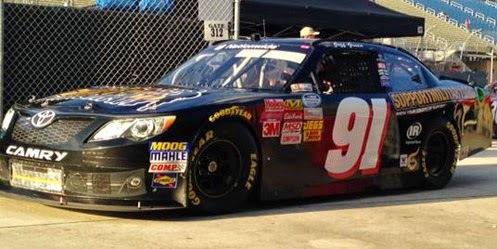 Last year, Michael McDowell’s #91 TriStar Motorsports Toyota overheated after 5 laps of the Ford EcoBoost 300. Caleb Roark picked up the 3rd last-place finish of his NASCAR Camping World Truck Series career in Friday’s Ford EcoBoost 200 at the Homestead-Miami Speedway when his #0 Grimes Irrigation / Best Western Mesa Chevrolet fell out with a vibration after he completed 5 of the race’s 134 laps. 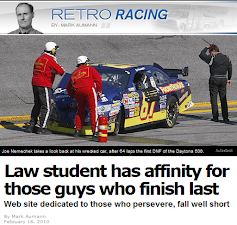 The finish was Roark’s third of the 2014 season and his first since Mosport, eight races ago. Though tied with Justin Jennings for the most last-place finishes, it is Roark - not Jennings as I originally reported last week - who is officially the 2014 LASTCAR Truck Series Champion. Roark and Jennings left Phoenix tied with 9 bottom-five finishes each, so a last-place finish by Roark at Homestead and a finish by Jennings outside the bottom-five would secure Roark the title. That is exactly what happened on Friday - Roark trailed the field while Jennings came home 22nd, ten spots outside the Bottom Five. Roark also holds the distinction of being the final Truck Series driver to finish 36th in a race. Starting next year, the series’ starting fields will be reduced to 32. Following his withdrawal from last week’s race at Phoenix, Roark was back at the track at Homestead, driving what reports indicate was owner Jennifer Jo Cobb’s #10 truck from Phoenix with the number “1” decals peeled off. 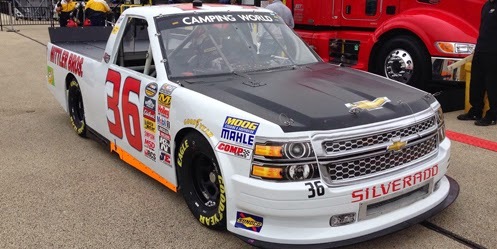 He was one of 34 trucks on the preliminary entry list, a field extended to 36 by race weekend. Roark did not practice in the opening session on Thursday and was the only driver to not turn a lap in Happy Hour, but still outpaced Norm Benning and Scott Stenzel to score the 34th starting spot at an average speed of 152.044 mph. In the race itself, it appeared that Benning would score his first last-place finish of the season when he pulled his flat red unsponsored #6 Chevrolet lost a lap by Lap 3 with possible mechanical issues. However, he returned to the track during the first caution of the night on Lap 6 when John Wes Townley crashed his #05 Zaxby’s Toyota in Turn 2. Townley fell just short of a last-place finish, however, for in the chaos, Roark had pulled his #0 off the track for good, snagging away the championship-clinching 36th-place run. Benning just passed Townley for 34th before he, too, left the race. Rounding out the Bottom Five were Scott Stenzel, whose #36 Mittler Bros. Machine & Tool Chevrolet had electrical issues after 11 laps, and Roark’s team owner Jennifer Jo Cobb in the #10 Oohrah! Hydration Drink Chevrolet after clutch issues 58 laps into the race. *This is the second last-place finish in three Homestead Truck Series races for Jennifer Jo Cobb’s #0 team. On November 16, 2012, Blake Koch lost the transmission on his #0 Driven2Honor.org Ford after 3 laps of the Ford EcoBoost 200. Mike Bliss picked up the 19th last-place finish of his NASCAR Sprint Cup Series career in Sunday’s Quicken Loans Race for Heroes 500 at the Phoenix International Raceway when his unsponsored #37 Tommy Baldwin Racing Chevrolet fell out with brake issues after he completed 16 of the race’s 312 laps. The finish was Bliss’ fifth of the year and his first since Kansas, five races ago. 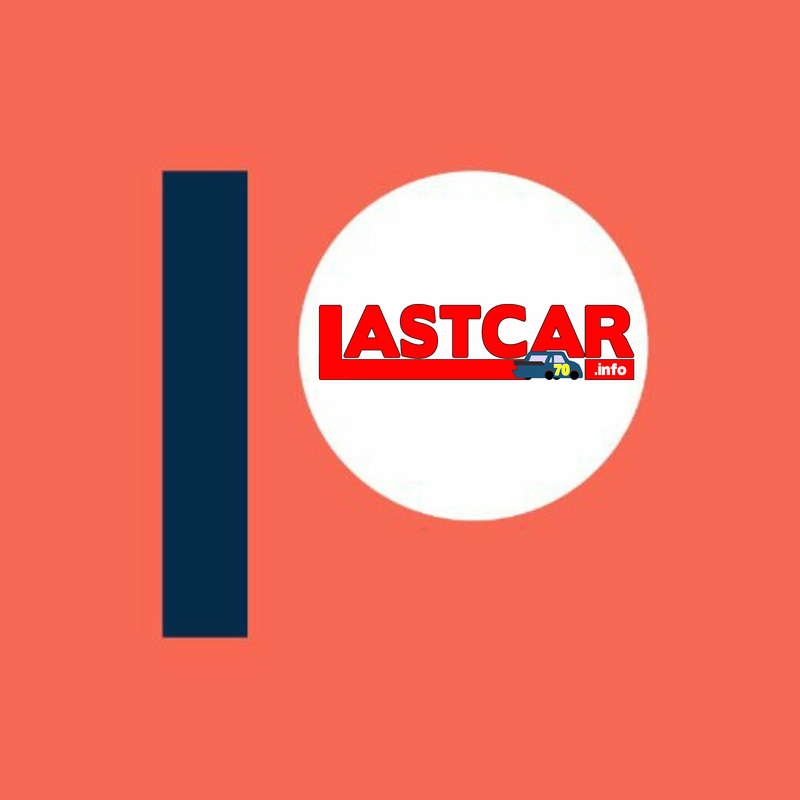 With one race to go and a two-finish lead over 2009 champion Dave Blaney and the rest of the field, Bliss has now secured his first-ever LASTCAR title as the 2014 LASTCAR Cup Series champion. This ends a three-year reign by Michael McDowell and Phil Parsons Racing - in their first year apart, McDowell has finished last only once while Parsons' team has yet to at all. Bliss’ last-place run at Kansas last month was the most recent for both driver and team. 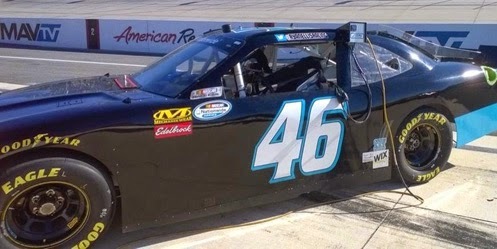 The return upped the entry list to 44 cars for 43 spots, setting the stage for a qualifying battle between the veteran Bliss and upstart Clay Rogers, back to trying to qualify the #75 Beard Oil Chevrolet after a DNQ at Richmond in September. Bliss outpaced Rogers in the opening practice, putting up the 36th-fastest time, then bumped Rogers from the field in qualifying with the 39th-best time at an average speed of 137.515 mph - nearly four-tenths of a second faster than Rogers’ 137.310. 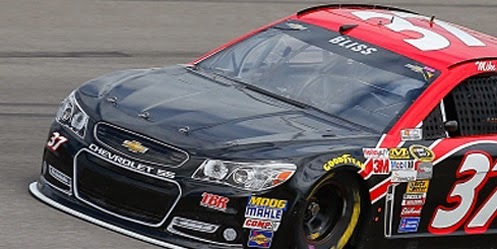 Bliss did not participate in either of Saturday’s practice sessions, and with the team’s Accell Construction sponsorship moved to teammate Michael Annett’s #7 Chevrolet, it was all but certain Bliss would park on Sunday. Mike Wallace started 43rd in the #66 Identity Ventures Racing entry, whose numbers were changed from white to dark blue. However, he only held the spot until the end of the first lap, when Bliss fell to the rear, then along with the #32 Zimmer.com Ford of Joey Gase began to lose touch with the rest of the field. Still under green on Lap 17, Bliss pulled onto pit road and turned to the garage, ending his day and securing his championship. Finishing 42nd was Cole Whitt, who endured a miserable afternoon in his #26 fuelxx / Tapout Muscle Recovery / Amazon.com Toyota. Around Lap 106, Whitt slowed on the backstretch with an apparent tire issue, but then spent several laps behind the wall for repairs. Whitt returned nearly 70 laps later only to rear-end the slowing Casey Mears during a pileup triggered by Kyle Busch and Clint Bowyer in Turn 2 on Lap 213. 41st went to Josh Wise, whose #98 PPR98.com Chevrolet was running just one lap down to the leaders on Lap 205 when he was clipped by Ty Dillon in Turn 3 and spun backwards into the outside wall, destroying the rear clip. 40th went to Clint Bowyer, whose right-rear of the #15 5-Hour Energy Toyota clipped the spinning Kyle Busch moments before Whitt tangled with Mears. Bowyer also spent several laps behind the wall before finally retiring in the closing laps. Rounding out the Bottom Five was Jimmie Johnson, who tangled with Justin Allgaier on pit road during the first round of stops, then on Lap 238 suffered a sudden tire or suspension issue in Turn 1 that sent his car hard into the outside wall and out of the race. *This is the first last-place finish for the #37 in a Cup race at Phoenix since November 15, 2009, when Tony Raines’ Long John Silver’s / A&W Chevrolet had electrical issues after 6 laps of the Checker O’Reilly Auto Parts 500. *This is Bliss’ first last-place finish in a Cup race at Phoenix. Jeffrey Earnhardt picked up the 2nd last-place finish of his NASCAR Nationwide Series career in Saturday’s DAV 200 Honoring America’s Veterans at the Phoenix International Raceway when his unsponsored #4 JD Motorsports Chevrolet lost the engine before he could complete any of the race’s 206 laps. The finish was Earnhardt’s second of the season and his first since Charlotte, two races ago. For the first time since Iowa in August, Earnhardt came to the race in an unsponsored #4 Chevrolet. His was one of 41 entries for the race, a list twice extended from 39 earlier in the week. Blake Koch, who last week at Texas clinched the 2014 LASTCAR Nationwide Series title, moved to TriStar’s #44 team to drive the fully-funded Ingersoll-Rand Toyota. Koch’s #10 returned to four-time and defending LASTCAR champ Jeff Green, who seemed a favorite to score his seventh last-place finish of the season. In the opening practice session, Earnhardt ran 28th-fastest of the 35 who ran, then was 33rd of the 41 in Happy Hour. In qualifying, he improved to the 22nd-fastest time with an average speed of 131.014 mph. The only DNQ was three-time 2014 last-placer Ryan Ellis, whose #46 The Motorsports Group entry missed its third race in four attempts. At the start of the race, Earnhardt was sent to the back due to unapproved adjustments. Just as at Charlotte, he did not complete the opening lap, though this time the official reason was engine trouble. Finishing 39th, ten laps ahead of Earnhardt, was Carl Long, driving a flat black #87 Ford Mustang for Rick Ware Racing - the sixth different car number Long has driven in his last six starts. 38th went to T.J. Bell, making his first Nationwide start of the year in JGL Racing’s #93 Texas 28 Spirits Stage Dodge. Morgan Shepherd came home 37th in his #89 Racing With Jesus / Courtney Construction Chevrolet, his first start since Dover in September. Rounding out the Bottom Five was 36th-place Brennan Newberry in Bobby Dotter’s #77 Qore-24 Chevrolet. Newberry was uninjured after a fiery single-car crash on Lap 38. Jeff Green finished 34th on Saturday, having not retired until after 51 laps. *Earnhardt is the first Nationwide Series driver to finish last in a race at Phoenix since November 12, 2011, when Matt Frahm’s #39 TSP Powder Coating Ford was involved in an eight-car accident on the opening lap of the Wypall 200. *This is the first last-place finish for both Earnhardt and the #4 in a Nationwide Series race at Phoenix. CORRECTION (November 14): Jennings has not claimed the 2014 LASTCAR Truck Series title. Although he does lead Caleb Roark in bottom-ten finishes (11-10), Jennings is still tied with Roark for most bottom-fives (9 each), so Roark can claim the title with a last-place finish at Homestead if Jennings does not also finish in the Bottom Five. If Roark finishes last and Jennings does finish inside the Bottom Five, or if Roark fails to finish last, Jennings will win the title. Justin Jennings picked up the 3rd last-place finish of his NASCAR Camping World Truck Series career in Friday’s Lucas Oil 150 at the Phoenix International Raceway when his #63 Mittler Bros. Machine & Tool Chevrolet was involved in a four-truck accident which prevented him from completing any of the race’s 126 laps. The finish was Jennings’ third of the season and his first since Pocono, ten races ago. And, with one race to go, Jennings has now clinched the 2014 LASTCAR Truck Series Championship. Caleb Roark, who took the lead on bottom-five finishes last week, withdrew prior to Friday’s race, preventing him from challenging on a possible tiebreaker. Even if Roark finishes last next week at Homestead and Jennings does not finish inside the Bottom Ten, Jennings would still prevail on a bottom-ten tiebreaker 11-10. Roark’s withdrawal on Thursday shortened the Phoenix field further from 35 to 34, the fourteenth short field in twenty-one races. Next season, Truck Series fields will be reduced further to 32 trucks - seven races this year have had fewer entries than that. Jennings did not participate in the opening practice session, was 26th of 34 in Happy Hour, and kept the 26th starting spot at an average speed of 128.567 mph. When the green flag flew on Friday night, however, the outside line checked-up, causing an accordion effect through the middle of the field. Trouble broke out when 22nd-place starter John Wes Townley rear-ended 20th-place starter Bryan Silas, leaving 24th-place German Quiroga and 26th-place Jennings nowhere to go but to pile in. Townley, Quiroga, and Jennings suffered the most severe damage to the noses of their trucks. Jennings was the only driver who couldn’t complete the first lap - he pulled to the garage first and was credited with the last-place finish. Behind Jennings and Townley were 32nd-place B.J. McLeod in the unsponsored #07 SS-Green Light Racing Chevrolet, his first race since Las Vegas. Rounding out the Bottom Five were both Gallagher Motorsports trucks, which each qualified in the third row. 31st-place Spencer Gallagher crashed out after 27 laps when Timothy Peters made contact with his #23 Kingman Chevy-Buick / Allegiant Travel Chevrolet entering Turn 3, sending him into the outside wall. Teammate Joey Coulter followed on Lap 38 when his #21 Allegiant Travel Chevrolet lost control in the same corner shortly after the restart. *Jennings is the first Truck Series driver to fail to complete the opening lap at Phoenix since October 26, 2001, when Lance Hooper’s #23 National Wild Turkey Federation Chevrolet had brake issues at the start of the Chevy Silverado 150. 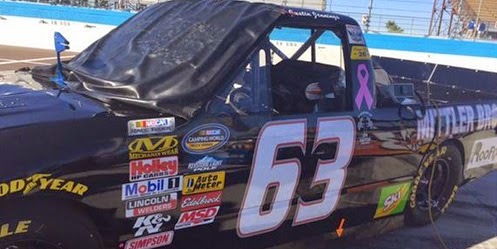 *This is the first last-place finish for both Jennings and the #63 in a Truck Series race at Phoenix. Landon Cassill picked up the 5th last-place finish of his NASCAR Sprint Cup Series career in Sunday’s AAA Texas 500 at the Texas Motor Speedway when his unsponsored #40 Hillman Racing Chevrolet lost the engine after he completed 134 of the race’s 441 laps. The finish was Cassill’s second of the 2014 season and his first since Sonoma, eighteen races ago. 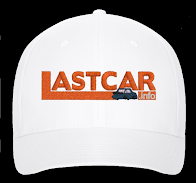 With two races remaining, Cassill is now one of five drivers still in contention for the 2014 LASTCAR Cup Series Championship. Mike Bliss and Dave Blaney have each run just 7 races in 2014 and have not raced in Cup since Kansas in October and Bristol in August, respectively, but both still lead the standings. Bliss leads Blaney in bottom-five finishes 5-4, but Blaney can only claim the title by finishing last in both the final two races as he trails Bliss in bottom-ten finishes 7-4. If neither Bliss nor Blaney run another race, any of the two-time last-placers in 2014 can also claim the title on a tiebreaker by sweeping the 43rd spots at Phoenix and Homestead. The top contender is Timmy Hill, who already has 5 bottom-fives, while Clint Bowyer and Cassill now have 4 apiece. Clay Rogers, another driver with two last-place finishes, has now been eliminated with only 2 Bottom Fives. Still, the only way Bliss can lose the title is if Blaney, Bowyer, Cassill, or Hill finish last in both of these final two races of the season, so there’s a good chance the title chase ends at Phoenix. Cassill came into the Texas race on te heels of four straight finishes of 23rd or better, including a career-best 4th in the thrilling finish at Talladega. Months after scoring a previous career mark of 11th in the spring race at the 2.66-mile track, Cassill remained with the leaders nearly all afternoon and was a threat to pull the upset before Brad Keselowski pulled away for the win. 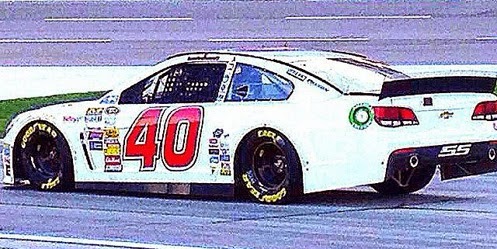 After running eight different sponsors through the first part of the season, Cassill brought a flat white Chevrolet to the Texas track. He timed in 39th of the 43-car entry list in the opening practice session, timed in 34th in qualifying at an average speed of 195.744 mph, then hovered in 38th and 35th in Saturday’s final two practices. Starting last in Sunday’s race was Joey Gase, making his third start of the season in Frankie Stoddard’s #32 Ford. Just before the green, however, Danica Patrick pulled her #10 GoDaddy.com Chevrolet to the back due to a pre-race transmission change. As Patrick climbed through the field on the opening lap, 43rd went to Brett Moffitt in the unsponsored #66 Identity Ventures Racing entry, the Iowa driver’s sixth start of the season and first since Charlotte last month. Moffitt was the first driver to lose a lap on Lap 16, and he lost another on Lap 34. Four laps later, Patrick slowed on the backstretch and made an unscheduled stop, dropping her to 43rd for a handful of laps. That changed on Lap 43, when the first caution of the race flew for Josh Wise and the #98 Provident Metals Chevrolet. Wise’s car snapped loose off Turn 2 and smacked the outside wall hard, fracturing a brake rotor that required several laps of repairs. With such low attrition for most of the race, it appeared the PPR team would have its first last-place finish since last year’s finale at Homestead. However, Wise rolled back on track on Lap 125, 82 laps down, but with nearly 200 laps to gain spots. Moments later, Cassill, who had completed 134 laps, pulled behind the wall with apparent engine issues. The ESPN broadcast officially listed Cassill as out by Lap 190, and Wise dropped him to 42nd on Lap 222. Wise ended up 41st in the final running order, passing the #23 Dr. Pepper Toyota of rookie Alex Bowman with four laps to go in regulation. Rounding out the Bottom Five were Moffitt, whose rear clip fell apart after a late tire failure, and Trevor Bayne, whose second-straight Bottom Five of the weekend came after a late tangle with Kasey Kahne. *The 134 laps Cassill completed are the most by a Cup Series last-place finisher at Texas since November 2, 2008, when Juan Pablo Montoya’s #42 Texaco / Havoline Dodge completed 262 laps of the Dickies 500 before a late-race crash with David Gilliland. *This marks the first season that Chevrolet has swept both Cup last-place finishes at Texas in the same season (the other being Dale Earnhardt, Jr.’s run in the spring). *This is the first last-place finish for both Cassill and the #40 in a Cup race at Texas. Ryan Ellis picked up the 3rd last-place finish of his NASCAR Nationwide Series career in Saturday’s O’Reilly Auto Parts Challenge at the Texas Motor Speedway when his unsponsored #46 The Motorsports Group Chevrolet fell out with a vibration after he completed 3 of the race’s 200 laps. The finish was Ellis’ third of the season and his first since Dover, three races ago. Already eliminated from championship contention, history was made before the race even started when Blake Koch locked-up his first-ever LASTCAR championship. 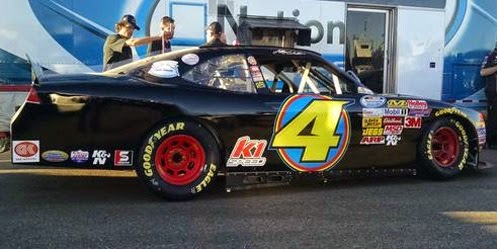 Koch’s teammate, four-time and defending LASTCAR champion Jeff Green, needed to finish last in all three of 2014's final races to defend his title. When Green did not enter nor start the race, Koch’s two-finish lead secured him the championship. Koch pulled out one lap after Ellis to come home 39th. Hours before finishing next-to-last in the Truck Series race, Ellis timed in 31st of 40 drivers in the opening practice session and 37th of 42 in Happy Hour. In total, 43 drivers - including the post-entry of Tanner Berryhill in Vision Racing’s rebuilt #17 Toyota - contended for the 40-car field. Ellis secured the final spot with an average speed of 178.235 mph, narrowly edging former LASTCAR record holder Derrike Cope’s lap of 178.059. Cope missed the race along with fellow owner-drivers Mike Harmon and Morgan Shepherd. Three laps into Saturday’s race, Ellis pulled behind the wall, edging new LASTCAR champ Blake Koch and his #10 Heroes Behind the Camo / SupportMilitary.org Toyota by a single lap. This ended a streak of three-consecutive last-place runs at Texas for the #10 TriStar team. 38th went to Carlos Contreras, whose #87 RaceTrac Convenience Stores Chevrolet fielded by Rick Ware was seen during the broadcast driving through the garage after the hard single-car wreck that took then-leader Trevor Bayne out of the running after 48 laps. Finishing between Contreras and Bayne was Joey Gase in the #52 Better Business Bureau Chevrolet for Jimmy Means. *This is the first last-place finish for both Ellis and the #46 in a Nationwide Series race at Texas. However, The Motorsports Group most recently trailed a Texas field on November 5, 2011 when Scott Speed’s #47 Curtis Key Plumbing Chevrolet had electrical issues after 3 laps of the O’Reilly Auto Parts Challenge. It was Speed’s first last-place finish in Nationwide competition. Blake Koch picked up the 5th last-place finish of his NASCAR Camping World Truck Series career in Friday’s WinStar World Casino & Resort 350 at the Texas Motor Speedway when his #36 Mittler Bros. Machine & Tool Chevrolet fell out with a broken rear axle after he completed 3 of the race’s 152 laps. The finish was Koch’s second of 2014 and his first since Dover, fifteen races ago. With just two races remaining, Koch joins a six-way tie for the 2014 LASTCAR Truck Series Championship. The lead, however, now belongs to Caleb Roark, whose 30th-place run broke a bottom-five tiebreaker with Justin Jennings, who came home 23rd. Roark leads with 9 Bottom Fives over Jennings’ 8, Charles Lewandoski’s 7, Ryan Ellis’ 5, Blake Koch’s 4, and Mike Harmon’s 2. Jennings and Roark are the only drivers who can win the title with a bottom-ten tiebreaker as Jennings leads Roark in that statistic 10-9 over Lewandoski’s 7. The remaining four drivers can only claim the title by scoring more last-place finishes than Roark and Jennings. If Koch claims the 2014 LASTCAR Truck Series title, he will become the first driver ever to claim two LASTCAR titles in the same season. Koch secured the 2014 LASTCAR Nationwide Driver’s Championship on Saturday when four-time and defending LASTCAR champ Jeff Green did not enter the race. Friday marked Koch’s fourth Truck Series start of the season, his first since a next-to-last-place run at Bristol in August, and his third in a row driving the second #36 entry fielded by Mike Mittler. Just 32 trucks showed up to the Texas track, which in June saw a 27-truck field - the shortest starting grid since the series’ inaugural season in 1995. Koch was the third-slowest of the 25 drivers who took laps in the opening practice session and did not participate in Happy Hour. He timed in 29th-fastest for the race itself at an average speed of 164.459 mph. At the start of Friday’s race, Koch pulled behind the wall first, followed a lap later by Ryan Ellis in the unsponsored #35 Win-Tron Racing Toyota. 30th went to Caleb Roark in Jennifer Jo Cobb’s #0 Grimes Irrigation & Construction Chevrolet, which exited the race after 5 laps with the #57 Watt’s Truck Center Chevrolet of Adam Edwards. Norm Benning, the owner of the #57, rounded out the Bottom Five when his #6 Tom Corbett for PA Governor / Pro1 Automotive Chevrolet crashed in Turn 2 on Lap 23. *Koch is the first last-place finisher in Truck Series history to retire from the race due to a rear axle failure. *This is the first last-place finish for both Koch and the #36 in a Truck Series race at Texas.